Hardcover children’s book. Please specify personalization during checkout. 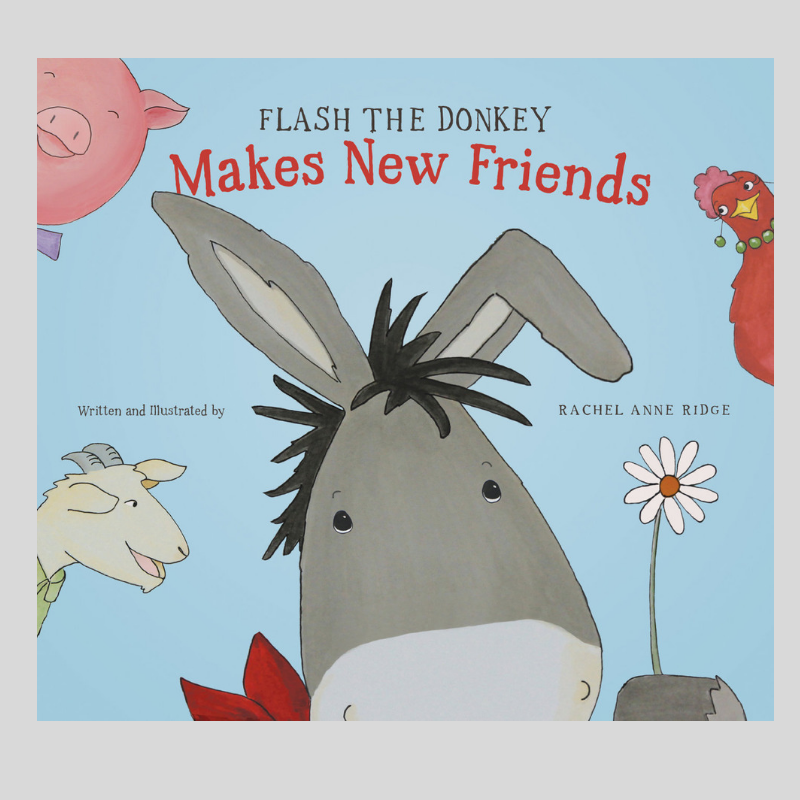 Inspired by the real-life Flash, Flash the Donkey Makes New Friends is a charming children’s book, written and illustrated by Rachel. 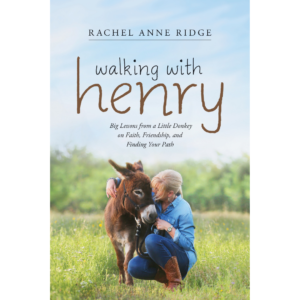 With quirky characters and a heartwarming story, this book is perfect for kids ages 3-8. 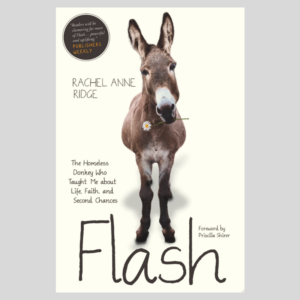 It comes personalized with a stamp of Flash’s hoof and a message from Rachel!